Cook up the perfect kitchen design when you visit the team at ProSource® of St. Louis. 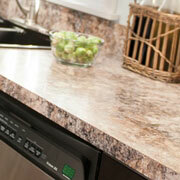 We provide every material and product you need to make your next kitchen remodel a success. With wholesale pricing you can’t beat, our showroom offers the highest-quality products from the top brands you trust. Stop by today to discuss your new kitchen design. Declutter the kitchen with the right cabinet space. 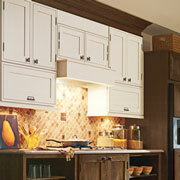 We provide kitchen cabinets that improve organization as well as upgrade the look of the room. From wooden cabinets to sleek glass fronts, we have something for every taste. 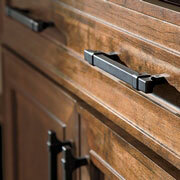 No cabinet overhaul would be complete without the perfect cabinet hardware. Pick the right knobs, handles, and other accessories at ProSource of St. Louis. When you need to bring extra shine to a kitchen, updated countertops can do the trick. From stunning quartz to elegant marble, we carry wholesale pricing on the best countertops in a variety of styles and materials. Looking to provide a family with more sink space? Shop our three-basin kitchen sinks. Want something simpler? Look at elegant single basin sinks. 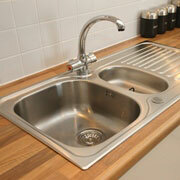 We carry an array of kitchen sink options in every size, style, and material imaginable. 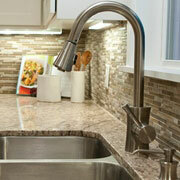 For clients who want to improve their kitchen’s functionality, a new faucet is key. Look at faucets with single handles, sprayers, filtered water taps, and more.